Professor G. Edward Gibson Jr. will have a key role in planning upkeep, improvements and enhancements to the main campus of the National Institutes of Health. Gibson, director of the School of Sustainable Engineering and the Built Environment in the Ira A. Fulton Schools of Engineering, has been selected to serve on the Board on Infrastructure and the Constructed Environment study to assess the capital needs of the NIH headquarters in Bethesda, Maryland. The board, known as BICE, is part of the Division on Engineering and Physical Sciences within the National Academies of Science, Engineering and Medicine. Its study will identify approaches that the NIH should consider in developing a comprehensive capital strategy for the campus facilities over five-, 10- and 20-year periods. Board members will decide on what facilities are in greatest need of repair or have the biggest impact on carrying out the institutes’ mission, as well as assess the rationale and composition of projects to bring campus facilities up to current standards or operational performance. The study will also include evaluation of the completeness, accuracy and relevance of cost estimates for capital improvement projects. “This is a great opportunity to provide service to the nation in an area that will be vital to public health in the U.S. in future years,” Gibson says. 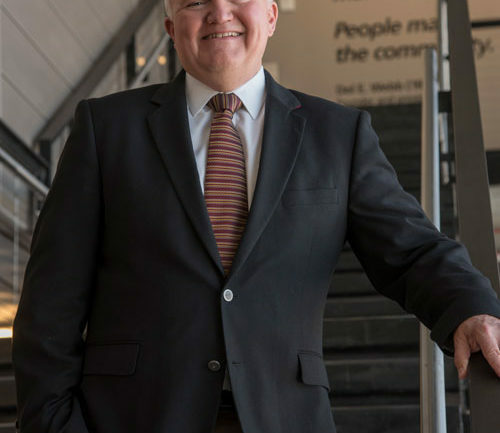 Gibson, the Sunstate Chair of Construction Management and Engineering, joined Arizona State University in 2009 as program chair of the Del E. Webb School of Construction, which is part of the school he has directed since 2011. He is a past-president of the Board of Governors for the Architectural Engineering Institute in the American Society of Civil Engineering. 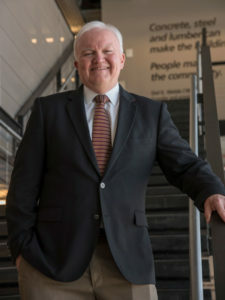 His research focus encompasses front-end construction project planning, risk management, construction productivity, organizational change, dispute resolution, asset management, alternative project delivery methods and electronic data management in heavy civil, industrial, and building construction. He has led almost $9.5 million in funded research during his career, supported by the National Science Foundation, the Construction Industry Institute, the Nuclear Research Council, the Texas Department of Transportation, the Alfred P. Sloan Foundation and the U.S. Army Corps of Engineers, among others. In more than 25 years as a university-level educator, Gibson has taught many construction and engineering courses related to his research pursuits and presented over 200 short courses for industry. He has consulted extensively on capital program issues with a number of federal government agencies throughout his career.